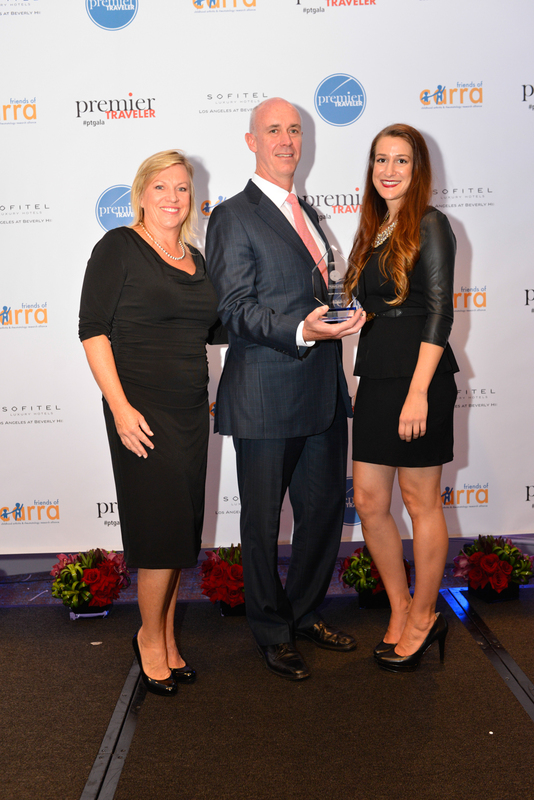 NEW YORK, NY--(Marketwired - December 12, 2013) - In a vibrant celebration held at the luxurious Sofitel L.A. on December 5, Premier Traveler magazine (PT) released its perennially popular December/January awards issue, which features the publication's special report on the reader-selected Best of 2013. 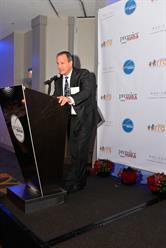 Hosted by Publisher Linda Vaughan, Executive Director Adam Rodriguez and Editor-in-Chief Ally Miola, the festive red-carpet event celebrated the upper crust of the global travel industry, with senior representatives from many of the winning companies journeying from around the world to receive their awards in person. Of course, traveling from place to place requires landing at some point, and PT readers singled out Dallas/Fort Worth International Airport (DFW) as one of the high spots on the ground, naming it the Best Airport in North America. The hub was praised for its imaginative use of space and design; fine dining options; connections eased by the Skylink high-speed train; and the luxurious American Express Centurion Lounge. Of particular interest to readers was DFW's innovative security checkpoint in Terminal E18 (created in a partnership between Marriott's SpringHill Suites, SecurityPoint Media and the Transportation Safety Administration) which aims to make clearing security a seamless, user-friendly experience for travelers. "Our entire team has done an outstanding job of capturing the best of what our passengers will want when they travel," said Ken Buchanan, executive vice president for revenue management at DFW. "And these enhancements are going to make DFW even more attractive for air travelers." Another way to hit the ground running is by renting an automobile, and in this category, PT readers voted National Car Rental the Best Car Rental Company in the World -- no mean feat, when the number of rental cars in the U.S. alone reaches nearly two million. The company received kudos for its new National mobile app, which puts the power of choice into the hands of customers, giving these road warriors the control they desire as they cruise the road to success. 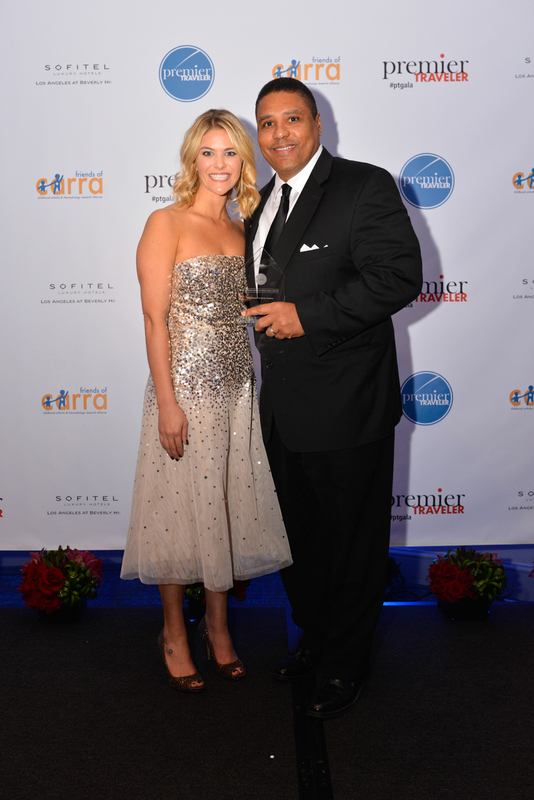 "It is an honor to be selected by the readers of Premier Traveler," offered Rob Connors, who leads National's brand marketing efforts. "This year we challenged ourselves to enhance National's service -- and met that challenge by putting more technology into the hands of our customers. Moving forward, we will continue to focus on and invest in new innovations, programs and technologies to ensure that we provide our customers with the premium experience they've come to expect from National." Across the world, Singapore landed wide approval from PT readers, who applauded Changi Airport as the Best Airport in the World out of the over 40,000 commercial airports from which to choose. Readers touted Changi's civilized customer-centric initiatives, wide array of facilities, free Wi-Fi and numerous indoor gardens among the airport's most welcome features. "We are delighted and honored to be bestowed Premier Traveler's Best Airport in the World for a second consecutive year, and we are heartened that our efforts are recognized," said Kwan Shu Qin of corporate communications. "Passengers are at the heart of what we do, and our efforts are geared single-mindedly towards enhancing their experience at Changi." The country's flag carrier, Singapore Airlines (SIA), took home three times the gold -- first, as the Best Overall Airline in the World for its innovation, attention to detail, luxurious amenities and complete redesign of all three cabins. Additionally, the airline earned awards for Best Economy-Class Service in the World and Best International Airport Lounges, proving that Singapore Airlines is out to conquer not only the cabins in the sky but the lounges on the ground, as well. "It's truly a privilege to be recognized by the readers of Premier Traveler magazine for this outstanding honor," said VP Ken Bright proudly. "Singapore Airlines is committed to a continuous pursuit of innovation. We believe that our ongoing enhancements, based on continual research among our customers, will assist in our goal of maintaining SIA's position at the forefront of our industry -- and as a Premier Traveler reader favorite." Another triple winner was Delta Air Lines, which business-traveling PT readers named the Best North American Airline for Business-Class Service as well as the Best Airline for North American Travel, both reflecting Delta's focus on providing top-notch travel services for domestic passengers, regardless of cabin. The carrier landed its third award -- the airline with the Best Domestic Airport Lounges -- for creating high-quality spaces on the ground equaling those provided in the air. "Delta is committed to finding creative ways to provide today's traveler with an exceptional experience," said Tim Mapes, Delta's senior vice president for marketing. "For customers, this means more onboard comfort like full flat-bed seats in BusinessElite, the most First-Class seats, Economy Comfort, world-class lounges, digital technology and facilities like the new international terminals at New York-JFK and Atlanta -- all delivered expertly by the world's best employees." Now that most airlines are charging for extra baggage, carry-ons are the preferred choice of frequent travelers. And the luggage PT travelers favor the most is the one developed for and by airline crews the world over: Travelpro, whose spectacular Platinum Magna luggage collection solves for once and all time the age-old problem of argumentative spinner wheels. Readers responded with a resounding round of applause and rewarded Travelpro for its ingenuity by bestowing upon the company the title of World's Best Luggage. After receiving the award from PT readers, Scott Applebee, Travelpro's VP of marketing, waxed understandably proud of his company's award-winning product, saying: "We want to thank our customers, retail partners and the media for all their comments on our products. By listening to these, we were able to develop innovative, problem-solving products that meet the unarticulated needs of the customer." Travel to and from the Indian subcontinent was in the spotlight when PT readers dubbed Jet Airways the Best Airline to India. Throughout the recent economic climate, the carrier has maintained its standing as a primary player in world travel, garnering code-share agreements with 11 major airlines and positioning India as a strategic connection point for global travel destinations. Proclaiming Jet Airways "proud and honored" to be included amongst the world's best by readers of PT, CEO Gary Toomey said, "We are committed to delivering a truly world-class service and have worked tirelessly to innovate and enhance our in-flight service product. This award bears testimony to our commitment and focus on the needs of our guests and our ability to enhance the Jet Airways experience for our customers." With connectivity a key requirement for business travelers, Verizon, one of the world's largest communications companies, was selected by PT readers as top-notch in its field and named it the Best Wireless Data Service Provider in the World. And since global travel is so much more pleasurable when a little peace and quiet can be obtained in flight, globe-trotting PT readers chose the MDR-10 Headphones from Sony Electronics as the Best Noise-Canceling Headphones for their superior comfort, sound quality and noise reduction. "Our Best of 2013 awards crown those companies that have proved to be paying attention to the wants and needs of today's business traveler," said Ally Miola, PT's editor-in-chief. "We were delighted with the number of respondents this year -- all of them insightful readers with experience in and knowledge about the world of travel. We congratulate the winning companies on a job well done!" Premier Traveler was designed with its readers in mind: frequent travelers who are perpetually on-the-go (both domestically and abroad), who have high expectations and a taste for luxury. With a focus on excellence in writing and response to reader requests, Premier Traveler provides valuable and relevant insights in an intelligent, energetic style. The magazine is noted for responding to its readers, providing them detailed informational surveys, insider reviews and in-depth answers to issues concerning frequent travelers.